The history of the castle is inseparable from the one of the village. Let’s start by saying that the presence of man in the vicinity goes back up to 5000 BC and becomes more significant at the end of the Bronze Age (dolmens and menhirs). However the Romans became so discrete that the Phocaeans from Marseille discovered the charming area and founded a colony: Athenopolis. But it was the Middle Ages that would mark the real development of the region that was called Freinet (or Fraxinet), principally after the Saracens that established there in the 8th and 10th centuries. Notable chapels and churches started to grow like mushrooms (N-D of Queste, the chapels of Pénitents and Saint Roch, the churches St Michel and St Pons,…) William I, the count of Provence and victor of the Saracens, gave to the local hero Gibelin Grimaldi (descendant of the youngest branch from Grimaldi of Monaco of Genoise origin) the earth that surrounded the gulf and decided to fortify it. It was at this time that the castle was erected (flanked by four towers spanning three floors) and rebaptized the village. 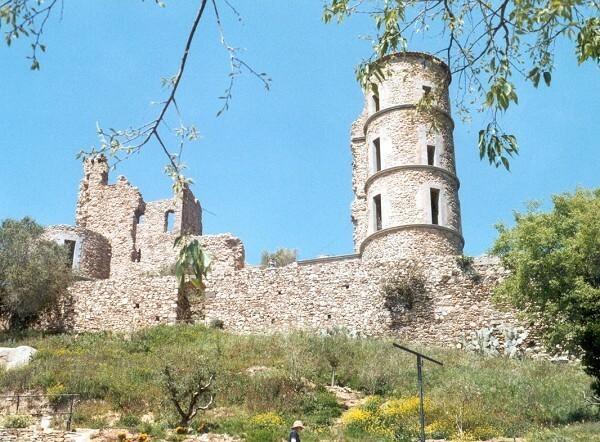 About halfway through the 13th century, the castle was handed down to the Pontevès, the Grimaldis having signed a peace agreement with the count of Provence Raimond Bérenger V after which they renounced their part in the areas situated to the west of La Turbie. A barony was then erected in the area. 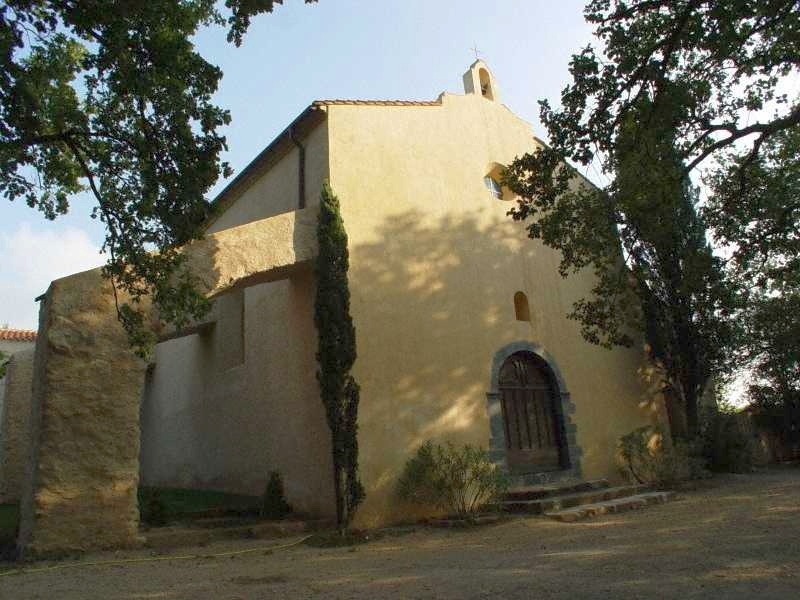 In two or three centuries, the village become the most important one in all of Freinet where most of the land trusts belonged to the Marseillaise abbey of Saint Victor. The proximity to the sea and to Italy largely benefited commerce at the time. During the 15th century, the chateau owner Jean de Rossa decided to hold a campaign for the beautification of the structure; but during this period, the village started to suffer under the presence of the port of Saint Tropez. The religious wars that ravaged the region did not spare the castle. It needed to be reconstructed during the following century (17th) and became a marquisate. The castle then was turned over to the Castellanes before the king ordered them to dismantle it. But the castle turned into ruins. However, the people in the village knew how to preserve its typical medieval flair, with its archways, squares, fountains, chapels, old structures, stone streets… a serious work of preservation and embellishment (in holding with tradition) in one of the most beautiful villages in France. You should definitely visit the mill Saint Roch at the North of the castle. At the foot of the mill, at the end of the ravine, you can see the Pont des Fées, remains of the aqueduct that brings water from a source at the summit of the neighboring hill. A small canal used to bring water from this source to Puits de la Fée (3m in diam., 2m wide). The water was then carried to the village in a closed canal. The wall that supported the canal was more than a meter thick. The canal was composed of a cement bed with round tiles laying on top that were full of rich mortar which supported the pottery transit pipes that were glazed with 2cm of thickness and interlocked with each other. Above the pipe is another layer of mortar and then two layers of tiles, on top of which the mass of the wall continues. Why this name? Actually, you often see in our region evocative names such as the Pont des Fées (The Fairy Bridge) and the Pont du Diable (The Devil’s Bridge). They are both used to design extraordinary work on account of its construction in a place not very suitable for such constructions. Therefore, it was said that the mason who completed this work had received charitable help or evil help from the fairies or the devil in person. A little bit away from this village (to the South East) you will find the famous Notre Dame de la Queste whose fountain has cured numerous illnesses. Spend an afternoon strolling through the streets of the village and discovering the remains in the surroundings, and then finish the evening in a small cozy restaurant discretely nested in the back of a square. Now that is what I call a successful outing! Cette entrée a été publiée dans Grimaud le 20 mai 2016 par Boutemyblog.